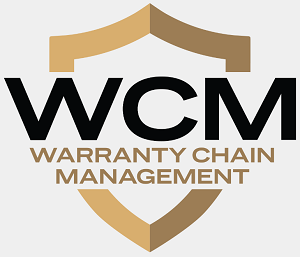 The 80/20 Rule of Product Warranties: Almost 80% of all the warranty claims and accruals reported by U.S.-based companies come from only 20 companies. Upwards of 500 other manufacturers account for only 20% of the total. But the expenses of the largest warranty providers are also a higher share of their sales revenue. Service Contract Insurance Stocks: While service contract underwriting is only a small part of the insurance industry, it's a large part of the revenue stream of a handful of insurance companies. Here are the stock price and dividend yields of eight of the largest from May 2008 until today. Top Warranty Acquisitions: Every once in a while, a manufacturer or retailer is acquired and ceases reporting its warranty expenses, while the acquiring company reports the amount of warranty reserves it gained through the purchase. What follows are some of the largest transactions of and by U.S.-based warranty providers in the past 18 months. VW's Emissions Warranty Scandal: Some students cheat on tests. But companies rarely do, because the cost of getting caught is very high. And in the long run, someone usually snitches. So isn't it ironic that a bunch of students caught one of the world's largest manufacturers cheating on a test? Computer Industry Warranty Report: Thanks to the popularity of smartphones, Apple is now the largest warranty provider in the U.S. But most other computer makers are cutting warranty expenses, as are most disk drive makers. Even Microsoft is getting over the Xbox warranty calamity it suffered through a few years ago. Eleventh Annual Product Warranty Report: While some manufacturers are having trouble with product reliability, others are seeing their warranty expenses rise simply because they're selling more product than ever before. Case in point: the new holder of the title of world's largest warranty provider. Top 100 Warranty Providers of 2012: While most of the largest manufacturers continued to reduce their warranty costs last year, some saw dramatic increases. Here are the top up and down percentage changes of the year for three warranty metrics: claims, accruals, and reserves. Top 100 Warranty Providers of 2011: While most of the largest manufacturers continued to reduce their warranty costs last year, some saw dramatic rises. Here are the top percentage increases and decreases of the year for claims, accruals, and reserves. Top 100 Warranty Providers: While most manufacturers keep cutting their warranty costs, some report massive spikes in their claims and accrual rates for the year ended in September. Others continue to recover from past spikes, with some of the largest declines of the year. INDS Signs with Virginia Surety: One of the largest vehicle service contract administrators has selected one of the largest service contract underwriters to help it diversify and expand. Top 100 Warranty Providers at Midyear: Was that the sound of the bottom of the recession? If so, financial data from the first half of 2009 provides a detailed record of how warranty providers reacted to a collapse in sales and a jump in claims. Though some of the largest warranty providers didn't make it, those that did are enjoying the benefits of recent claims processing automation projects and other cost-cutting efforts. Extended Warranty Insurance Companies: The advice columns tell you not to buy extended warranties, but they never tell you not to buy extended warranty companies. Of the four largest publicly traded warranty insurance companies, at least two offer dependable dividend yields and perhaps also capital gains as the recovery takes hold on Wall Street. General Motors' Warranties: The world's largest automaker is running out of cash, and if a government loan doesn't come through soon, bankruptcy may follow. As the largest U.S.-based warranty provider, GM's fortunes may have a Lehman-like ripple effect throughout the entire manufacturing sector. Then again, maybe a court-supervised opportunity to reorganize is just what the company needs? Top 100 Warranty Providers: Compared to a year ago, much has changed in terms of warranty claims, accruals, and reserves. Key ratios suggest that some companies are enjoying vastly reduced repair costs thanks to quality gains. However, for the largest manufacturers, the percentage of sales they spend on warranty hasn't changed much. Warranty Reserve Levels: Most large companies seem to pick a size and stick to it, even as sales and claims vary. Whether measured in dollars or as a multiple of claims paid per month, the size of most of the largest warranty reserves has changed very slowly over the past four years. 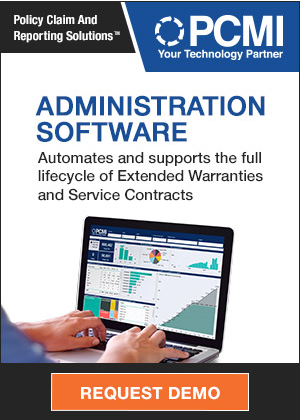 Integrated Warranties: Assurant Solutions, along with partner General Electric, has quietly built itself into one of the largest and most diversified extended warranty service providers. Warranty Claims & Accruals: While some U.S. manufacturers are still preparing their latest financial statements, most of the largest warranty providers have already announced their second quarter claims and accruals. While some of the top 50 are spending more on warranty than a year ago, most are spending less, and a few are spending a lot less. Warranty Claims: While some U.S. manufacturers are still preparing their latest financial statements, most of the largest warranty providers have already announced their first quarter claims and accruals. Half of the top 50 are spending more on warranty than a year ago while half are spending less. Automotive Warranties: Ford and GM are not only the largest providers of automotive warranty. They're also paying a higher percentage of their revenue in claims than everyone but the makers of RVs and rider mowers. Turf Warranties: In some of North America's largest sports stadiums, the grass is always greener, thanks to AstroTurf and its successors. Unlike the sods it replaces, an artificial sports surface comes with an eight-year warranty. But if you're planning to make a claim, bring your lawyer. More Details on the Top U.S. Warranty Spenders: Readers ask for the warranty cost of the 40 largest, with 85% of total warranty spending, to be retabulated on the basis of warranted product revenue only.